How to Handle Black Friday's Orders? How to Handle Black Friday’s Orders? Wow, it’s already November and Christmas is right around the corner! Before we start gift wrapping up our Christmas orders, another important day of the year is coming along – Black Friday (this year it’s on 25th November). If you don’t know what Black Friday means to online retailers, check out Black Friday’s page on Wikipedia. Obviously, this is more important for people selling to the US market BUT I believe that anyone can learn a thing or two from year’s hottest online shopping day. For us, online retailers, it’s important that we’re well prepared for Black Friday and can handle un-expected, large volume of orders. I can’t imagine a bigger disaster than to see customers who want to buy something from you but you can’t serve them for one or another reason! So let’s get started and prepare our online shops for Black Friday’s & Christmas shopping madness! 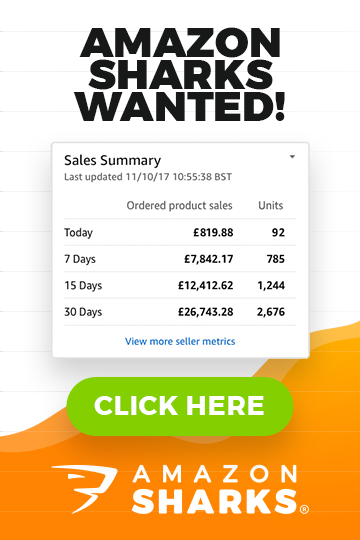 Now, we were totally prepared for this so it didn’t cause any problems for us That’s why I want to share with you a list of things that you should implement in your online business to be ready for such large number of un-expected orders. It can happen to any of you – someone could mention your online shop in a blog or your press release could get featured in Yahoo News or Google News. If you’re not ready for this, your reputation can suffer greatly and you can waste great, FREE marketing campaign! 1. Make sure you have enough stock of top selling items! This rule is crucial – if your stock levels are very low for your most popular items, you’re NOT READY for Black Friday or un-expected media coverage. You’ll run out of stock very quickly and rest of people will feel disappointed to not find an item they’re looking for on your online shop. Even worse – what if that particular press release or blog post was about ONE product from your shop? I hope you see where I’m coming from – someone recommends you and your products but you actually don’t have any in stock. Big, Big mistake! So make sure you always have solid stock levels for most popular items in your online shop. 2. Automate order processing process as much as possible. If you’re still processing each order separately, copy address and print labels out manually, you’re really doing something wrong! 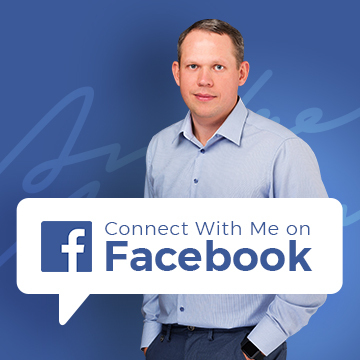 Internet business is all about automation – USE IT! 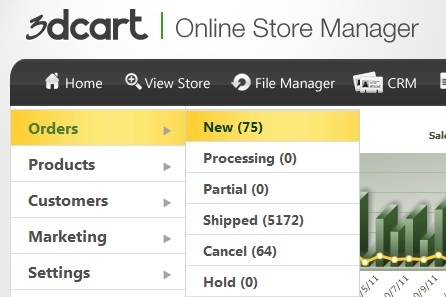 Find out what stock control, shipping and order processing plugins your shopping cart offers and use them. If you need a custom solution, create it! You can hire a Excel programmer for $100 on Elance.com to create All In One order processing software that will save you time and money in long run. Basically, if your order processing system is efficient, you shouldn’t have any problems in processing 100 or 200 un-expected orders per day. 3. Make sure you have extra bandwidth usage. If your current hosting plan is over-used (you almost run out of bandwidth at the end of each month), UPGRADE! Yes, in most cases that means extra cost BUT imagine what would happen if suddenly you receive thousands of extra visitors to your site and your hosting just goes down? Don’t ever let that happen to your business! Besides, your traffic should grow from month to month anyway, so you would need that next hosting plan soon anyway. 4. Prepare your employees & always leave a reserve in productivity. I’m not saying that you have to employee extra people who sit without work for the most part of the year, no. BUT do not live in a situation where you or your employee barely (with over-time) have enough time to do daily tasks. What will happen when Black Friday kicks in? Also, it’s important to maintain good & productive relationships with your employees – order pickers so they’re happy to work some extra hours when un-expected volume of orders come in. 5. Stock up on your packing supplies! As simple as this may sound, I know people who store bare minimum of jiffy envelopes, tape and other packaging materials in stock and re-buy every few days or so. Bad, bad idea as not only this is not cost effective (you always get lower prices on packaging materials when buy in bulk) BUT again – if large volume of orders kick in, you’ll have to go after bubble wrap or packing tape! These are my TOP 5 suggestions to prepare your online shop for Black Friday’s sales OR any huge sales day for that matter. But what if you’re not prepared? What if you can’t handle such large volume of un-expected orders? What to do? In case of Black Friday – it’s easy! You have all Saturday and Sunday to process and prepare for dispatch all orders (unless you promised Saturday delivery of course). Just work over the weekend, pay your employees extra and process all orders as usual. If it happens Mon.-Thurs., you can still split orders and process in 2-3 days time. Yes, some people won’t be happy about delay in dispatching their orders BUT as long as you send out an e-mail and inform people about such un-expected delay, you’ll be fine. If you run out of stock, quickly find an alternative! First off contact your supplier and ask how fast they can deliver products. If you’re importing from China or if for any other reason you can’t re-stock fast, contact your competitors selling same product. Maybe you can buy from them at a discount rate. Lastly, if nothing works and you can’t re-stock products soon enough, at least make sure you have a Waiting List option enabled on your website so that people can leave their e-mail and receive notification when item comes back in stock. Always keep your customers updated! Yes, you’ll be amazed on how long people are ready to wait and how (in general) people are patient AS LONG as you keep them informed! Just send out an e-mail and explain that there’s a delay and inform how long it will take before orders will reach customers. You can also offer free gifts or discount cards to calm down people and make them feel even more important! Whatever happens, always stay polite and offer refunds. If everything falls apart and you simply can’t manage extra orders, offer refunds to your customers and apologize for what happened. You may not get those extra sales BUT your reputation will be saved and no damage will be made. I really hope you won’t have to use last option from the list! Don’t forget that Black Friday and Christmas for that matter is all about SALES & OFFERS! During this shopping madness people expect huge sales, unbelievable offers and savings! This is the perfect time to get rid of old stock or the opposite – introduce new product to the market. Anything goes on Black Friday as long as people see great value in your offer! This is a perfect time to get listed in major shopping comparison sites and distribute your limited time coupons to coupon sharing websites. If you run an affiliate program, make sure to create some sort of creative materials, specifically targeting Black Friday and Christmas theme! Lastly, this is the perfect time to remind about yourself via e-mail marketing – send out an e-mail to your customer base well before the big day and be prepared for some crazy sales numbers! Good Luck! Testing out Facebook comments plugin – please let me know if it doesn’t work properly!